There’s one site that always first come to the minds of most people when they hear the term “video sharing” and that’s YouTube. Founded in February 2005, it has been the most popular video sharing site on the Internet and its members are continuously growing. One of the reasons that YouTube has been popular with users is because that it lets users create its playlist and video library. You may want to download YouTube playlist in order to play these videos for offline entertainment. Also, after saving the whole playlist, you may put them on your mobile device or portable media player for viewing without internet connection. Downloading each videos may be time consuming. Getting the whole playlist at once would save you time and effort. 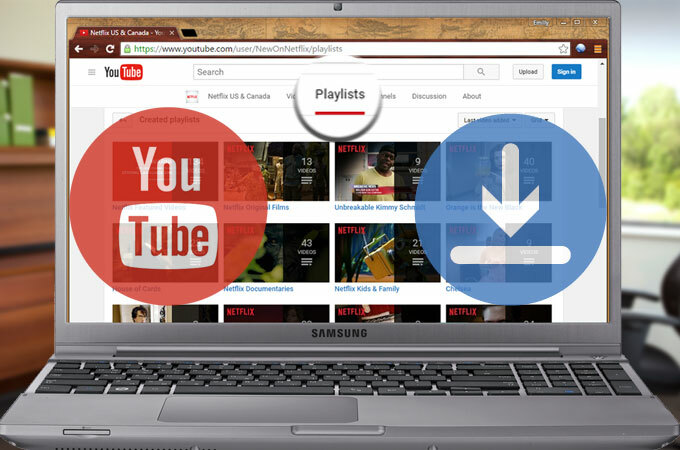 If you wish to download your favorite YouTube playlist, there are various applications that you can use for this. In this article, we will go through two methods on how to do this. One is web based and the other one needs to be installed on the desktop. The first option on our list about how to download YouTube playlists is an online tool called Video Grabber. You may start using it for free. While it doesn’t cost a thing to use this application. 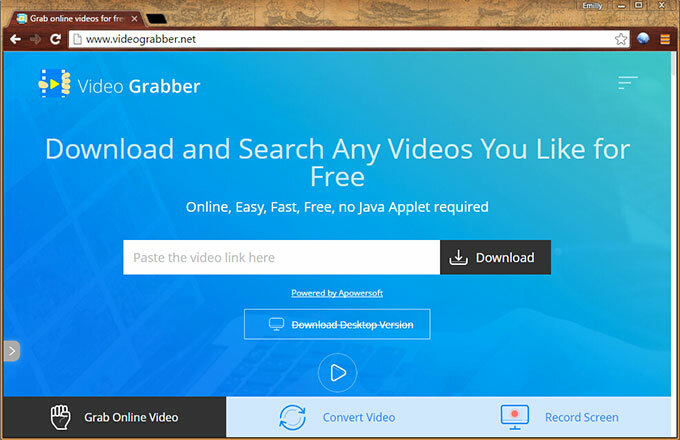 To use Video Grabber, copy and paste the URL of the video to the appropriate field and click “Download”. Choose the format that you prefer, right click on it and click another “Download”. Do the same on the other videos on the playlist until you get all of those you like. It may be a bit troublesome to be utilized for downloading playlists since you need to download the videos one by one. It doesn’t come with a feature that would download all videos at once. If you prefer to have video downloaded in more effortless way, then head to the next solution. Our next YouTube playlist downloader is Video Download Capture. It needs to be downloaded and installed on your computer but unlike the first option, it can download the entire playlist at once. This is less tiring since you don’t have to get each video at a time. To download YouTube channels, follow the steps below. In the process of installation, it will walk you through each step in detail. Once it is done, it will walk you through this program in the easiest way. There are tons of artists’ playlists, music/movie category and funny channels that you might have fancy on, after subscription, it will be displayed on the left bar of your YouTube account. Simply click on it to find its video URL. Enter the video link of the playlist into the URL field and then click the “add to download” button. you will find all video clips under designated playlist shown in list form on the main interface. If you wish to save all videos, choose “select all”. You may also opt to download only specific videos from the playlist by selecting them. Then, you will be given the choice to select the format that you want. You can specify the format. Video Download Capture is not just used to download playlist from YouTube. It also comes with different features that you may find helpful. Below are some of them. Convert – you may convert video and audio files to other formats. It supports a wide selection of formats so it would be easy to find something that is compatible with your device or media player. Merge all these video playlists – if you wish to save all videos on the playlist into one file, you can merge all of them with just one click. Trim, crop, effect video – it also comes with basic editing features that would let you customize or enhance the videos. Add subtitle – you may also add subtitles on the video especially if they are in another language. Each and every one of us loves YouTube for it lets users have an easy access to millions of videos, such as sports highlights, funny clips, movie trailers, music videos, TV episodes and even full HD videos. Since tons of videos are accessible on this video sharing site, it might be a bit tricky to search and play your preferred videos one by one. To this end, YouTube playlist really comes in handy. And what is a playlist on YouTube? Actually, playlist is an innovative feature of YouTube that offers the ability to add videos in an organized list. All the videos in the playlist can be managed and played in order. 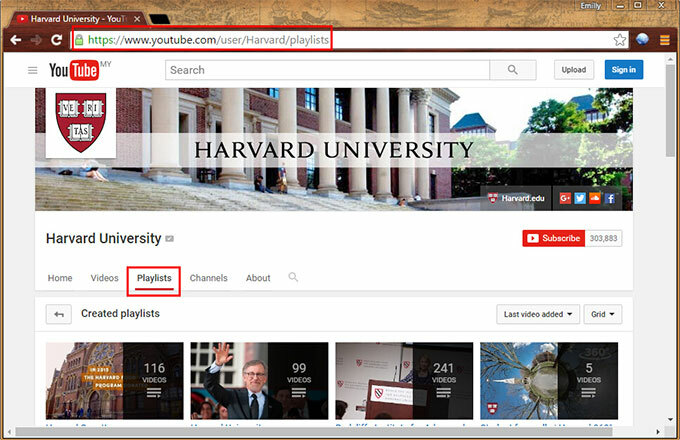 Now you can make use of these YouTube playlists in the following ways. Playlists are usually grouped by subject and category. This is the most efficient way to keep track of any videos you take interest of. As long as you create playlists on YouTube, you do not have to search your favorite video every time you visit YouTube. YouTube is a great place to find almost all the classical or the hottest music videos. After finding a music playlist on YouTube, you might be wondering how you can keep the music flowing on your music players. The best bet would be the ability to download and convert them to mp3 in batch for your devices. Nowadays mobile devices like iPad, iPhone, iPod, etc, have become the actual entertainment for most of people. If you are a video addict of YouTube, you won’t miss the opportunity to convert all playlists to fit all your gadgets. Most of users spend hours watching YouTube videos, especially for those subscribed channels. Most of times, you will have complaint about the poor internet connection of streaming YouTube videos online. Instead of downloading individual videos, you can download entire YouTube channel for offline playback. Rating: 4.3 / 5 (based on 63 ratings) Thanks for your rating!